Integrated Cannabis Solutions, Inc., (IGPK) is finalizing a transaction to cancel over 500 million of its Outstanding Common shares. Once the shares of Common stock have been canceled, the Company will file an Amendment with the State of Nevada to reduce the amount of Authorized shares by the same amount. The two reductions should be completed within the next couple of weeks. Integrated Cannabis Solutions, Inc. – is seizing on the momentum of the new Hemp bill in Wisconsin once known as “The Hemp Capital” of the United States. Integrated has been granted a license to Grow and Process Hemp in Wisconsin. The farm IGPK is purchasing once grew hemp and tobacco and currently grows corn, hemp grows wildly on the farm and surrounding farms. 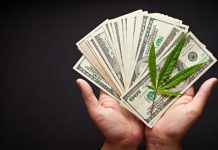 Previous articleMarijuana Stocks Newsletter: Who’s Ready For A Case Of The MonYay’s On March 18, 2019?